Did Dr. Frankenstein save the world from certain destruction? Yes, says an important new scientific study. It is literally one of the most important scientific studies perhaps ever produced: scientists have found that the fictional monster creation of Dr. Frankenstein would have caused mankind to go extinct had he not destroyed his female companion. 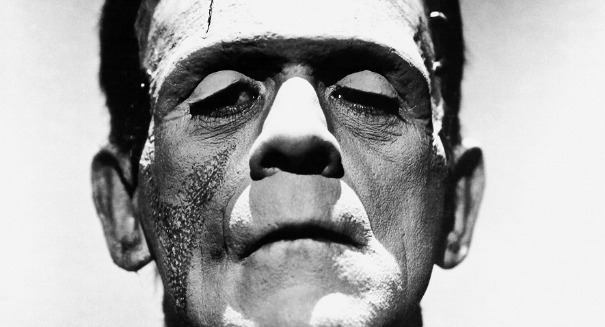 A population of Frankenstein’s monsters would have likely driven humans to extinction, according to scientists at Dartmouth College and the University of California, who wrote in the journal BioScience that fictional mankind dodged a fictional bullet by fictional Dr. Frankenstein going back on his word to make a female companion for his monster, according to a Dartmouth College statement. If Frankenstein had created the female creature, and it had mated with the original creature, it would have taken just 4,000 years for mankind to go extinct. Researchers went all out for this study, using birth rate, death rate and the species’ competitiveness to determine what happen after a few thousand years.